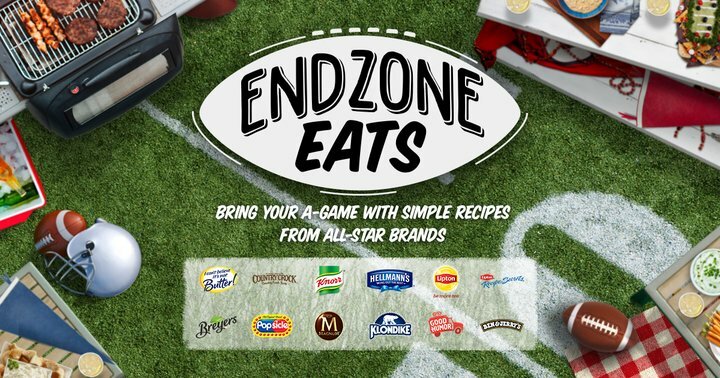 This post is sponsored by Mirum Shopper, though all opinions and recipes are my own. Thank you for supporting the sponsors who support A Simple Pantry! 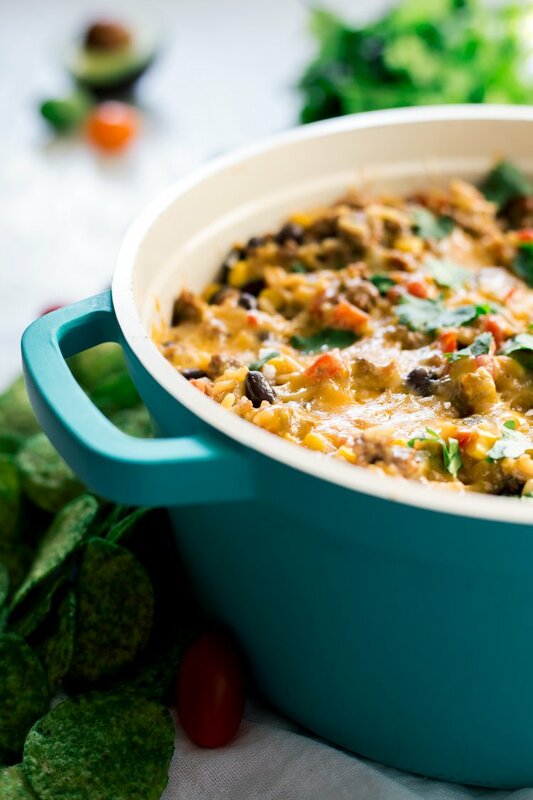 I am seriously digging this Cheesy Mexican Chili Rice right here. It’s perfect for these fall nights, as well as for game day and tailgating! 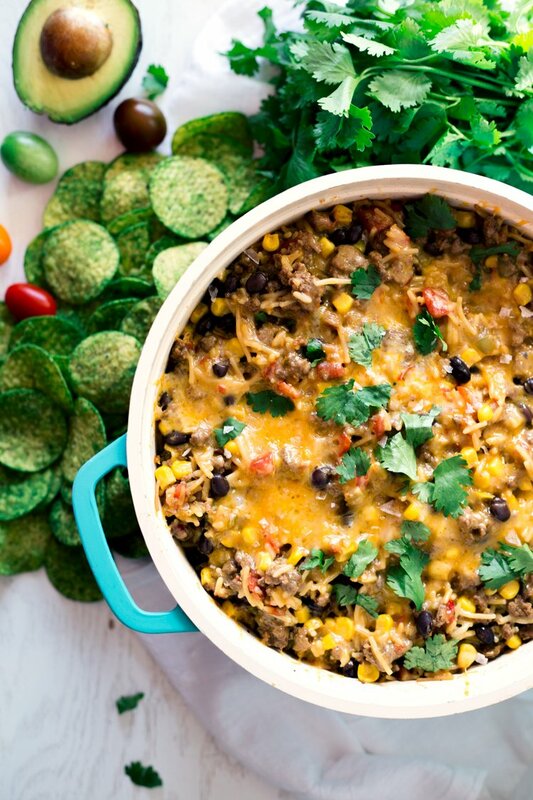 This is one of those one pot wonders, or 30 minute meals. A weeknight savior. A gameday thriller. It is all that AND a bag of chips. Guacamole chips, to be exact. So good for eating this Mexican chili rice. Like, bye bye forks and spoons. Just scoop with some chippies for the total experience. Since I am all about keeping it clean and easy in the kitchen, you can bet my go-to for making a great meal is my Knorr sides. They are flavorful, fun, and super easy to make, so incorporating them into a main dish is literally amazing. I start by cooking up some ground beef, then boiling some Knorr Fiesta Sides Spanish Rice. Once that’s done, I stir the beef back in, then throw in some canned tomatoes, black beans, and corn with peppers. Finally, I top the whole thing with a lovely layer of cheese and let it melllllllllllllllt. 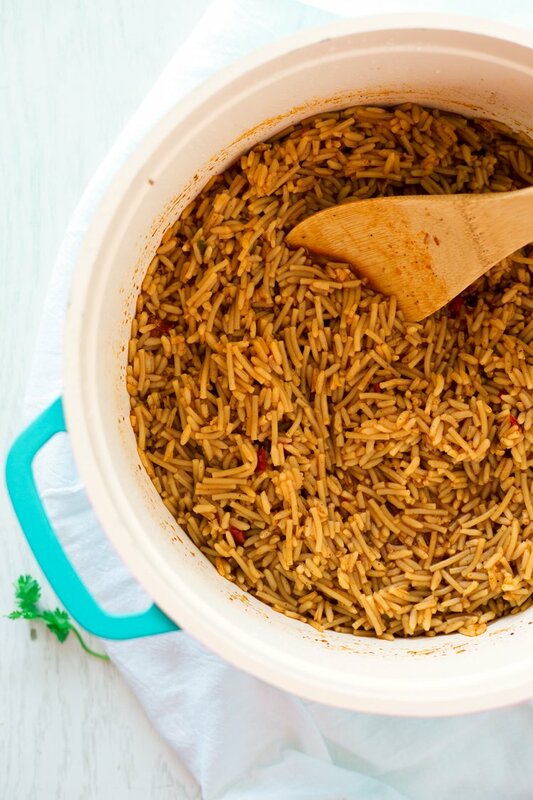 There is no need to let cooking get in the way of a great meal on a great night, so be sure to pick up some Knorr sides so you can whip up this Mexican chili rice in a hurry! 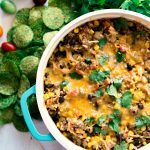 Whether you are tailgating, having a party at home, or simply because you want some comfort food, this meal delivers. This recipe is super simple, but packs a lot of flavor on its own. If you want to get crazy, you could toss in some jalapenos, or stir in some adobo sauce for a smoky heat. So much yum potential in one easy, 30 minute dish! 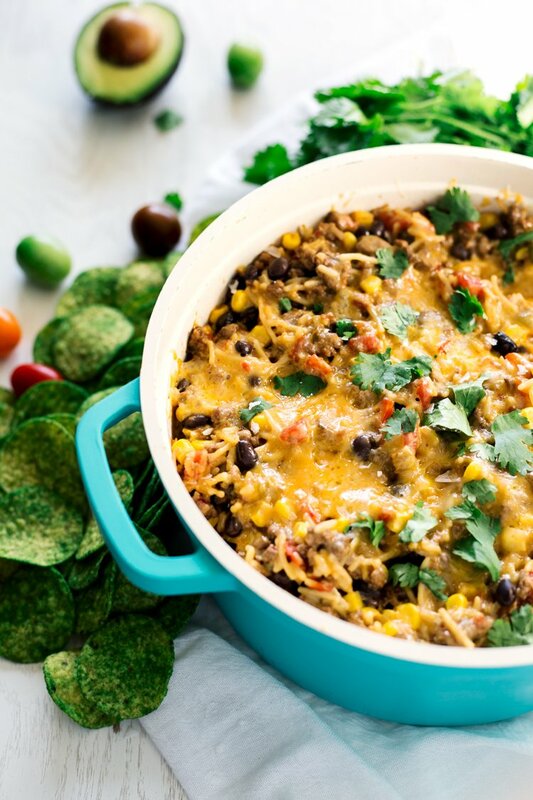 How about we make some cheesy Mexican chili rice, eh? Dinner is served! In a large pot over medium high heat, add the canola oil, followed by the ground beef. Cook until browned, crumbling as it cooks, around 5 minutes. Drain excess fat, season with salt and pepper, then remove from pot and set aside. 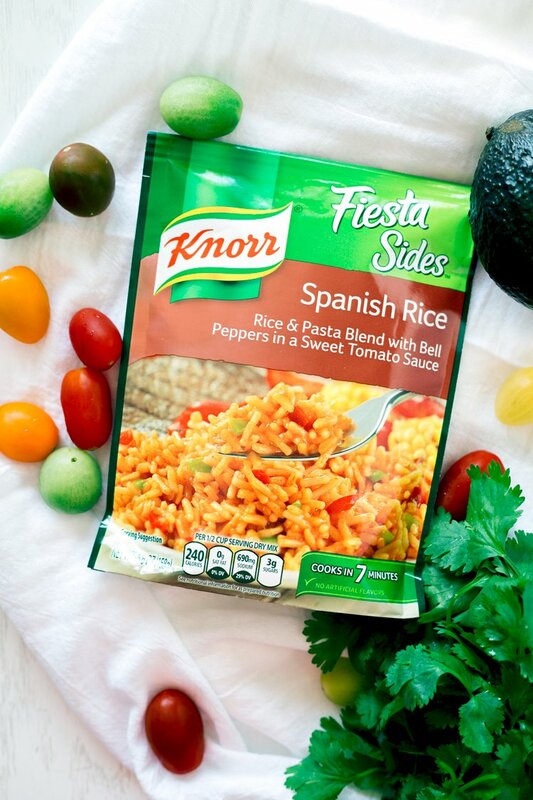 Cook the Knorr Fiesta Sides Spanish Rice according to package instructions. 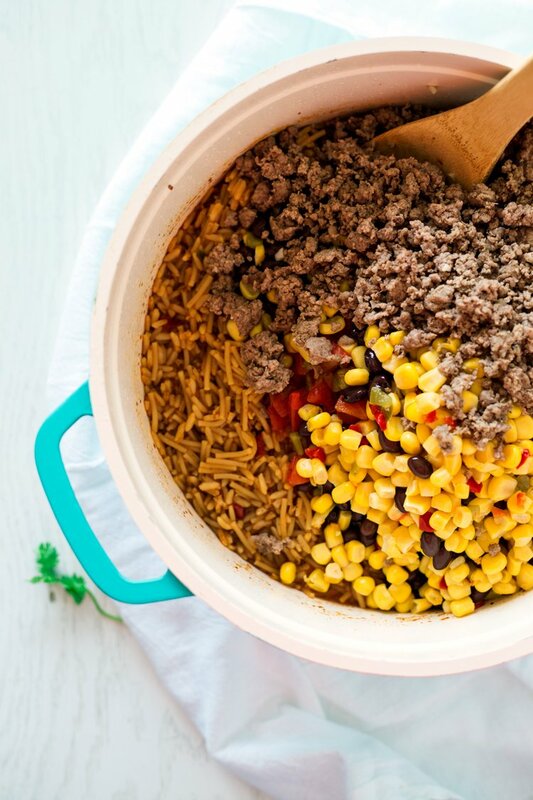 Once cooked, add the ground beef back to the pot, followed by the diced tomatoes, black beans, and corn. Stir gently to combine, reduce heat to medium low and allow to heat until everything is hot, around 5 minutes. Top with colby jack cheese and continue heating until melted, then serve immediately.